"You'll pay your debts this time." "When a jungle-dwelling woman gets a mysterious demon trapped in her leg, she sets off on an extraordinary adventure to get it out. Artist/writer Grim PROPHET: EARTH WAR Wilkins plays with the possibilities of comic storytelling, letting the visuals carry the weight. 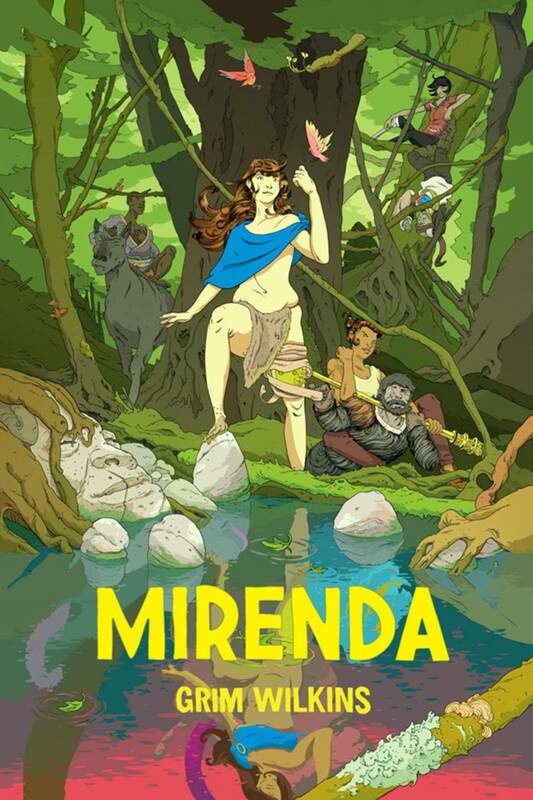 Originally appearing in ISLAND magazine, MIRENDA picks up the gauntlet left by the works of Moebius and Frazetta and runs with it." Oh yes he does. That's a very good summation of this work, actually. The titular Mirenda does indeed end up with an imp in her thigh and it is up to us the reader to puzzle out from the perpetually time- and place-shifting chapters as to why. It is relatively complex plotting, which will require you to concentrate on the devilishly detailed art to comprehend precisely what is occurring, but given the quality of the artwork, that's an absolute pleasure anyway. Yes, the visuals are indeed more than up to the task of carrying the story! In fact, the story probably feels like it is being propelled effortlessly along upon a jewel-encrusted palanquin such is the depth of the design, the lightness of touch of the linework and the calibre of the colouring. It may actually be too much for some, who might prefer a slightly less dense approach to their wordless fun such as that employed by A LAND CALLED TAROT which also debuted in ISLAND, but if you are prepared to slow your eyes and brain right down and get fully absorbed into the illustrated narrative, you will reap the rewards.